The Olympic Park is a magnificent tribute to the Olympic Heritage. It’s like a hive. So much buzzing. So many people. All having fun. No trouble too. London /2012 is worth the cost to the taxpayer. The spectators are having a ball. So too are the athletes. It’s sad though when an athlete gets disqualified for a false start. Rules are rather strict. Talking of rules. It’s rather nightmarish going into Olympic Park. Security is so tight bordering on the ludicrous. I am sure these measures are necessary, after all there is (un)clear and rather present danger. However, the security measures kinda spoils the fun to a degree. 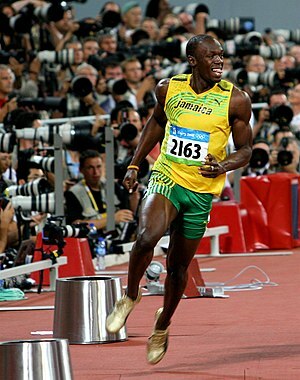 Even Usain Bolt made his tuppence worth comment on the measures. The organisers deserve a pat on the back for the great work. It is a magnificent spectacle. There are Live events such as Park Live, there are groups of performers around the park, and all amenities are easily accessible. The support staff are quite helpful too. I should add. Britain is third on the medals table. Who would have bet on that (Refer to 3 other Olympics articles on this website). China and USA are fighting for top dog status. The Team GB athletes deserve all the applauds. So do all the other athletes from all the other countries. It is disappointing though that Team GB were not even competing in the steeplechase. Team GB were also found wanting in javelin, hurdles, sprints, triple jump etc. Surely with all the lottery and other sports funding Team GB should have been doing much better. Not that the natives are complaining. It’s just that I’m sure we spend more on developing our sprinters say in comparison to Jamaica. For instance, yet Jamaicans are somehow quicker. Could it be the training? Maybe some athletes should emulate Mo Farah and enlist with overseas trainers to help them cross that bridge. Swimming and diving are the other sports that disappointed. Without trying to apportion any blame on anyone, Team GB should and could have done much better. One bit of the Olympic story I could never understand is the Philips Odowu story. How can an athlete chosen to represent a country be so ‘big’ to be allowed to dictate to the selectors? If he was not fit, he should not have been selected. Period. If he was not prepared to avail himself, he should never have been allowed to represent the country. One athlete holding a country to ransom? Maybe there is more to this sad saga than we are made to know. Either way, surely Olympic selectors should reserve the right to assess and monitor the fitness levels of all those selected. It also beggars belief that the UK can only produce one strong male triple jumper in fours years! Someone, somewhere is not doing their job right. Surely the country should have a few long jumpers on the wings and if we can produce a university graduate in say 3-6 years, why can’t we regularly produce athletes good enough to compete at the Olympic level? The international community has made these Olympics what it is, a great carnival. We have met loads of folk from overseas and everyone is having a ball. May this glorious spirit continue to flourish. I am a prisoner. Locked up in my own cell. The world is the warden. Your liver is gonna go. I am not trying to glorify drink. No one should. However, I am also not trying to speak badly of drinking. Some people do. I have never been ‘holier than thou’ and shan’t start pretending to be after all the years of experience i have gathered. Like a moss. I have often had, and often recounted that the Bible recorded the first historical account of the acceptance of ‘alcohol’ within the Christian faith. Wines were made miraculously by Jesus. 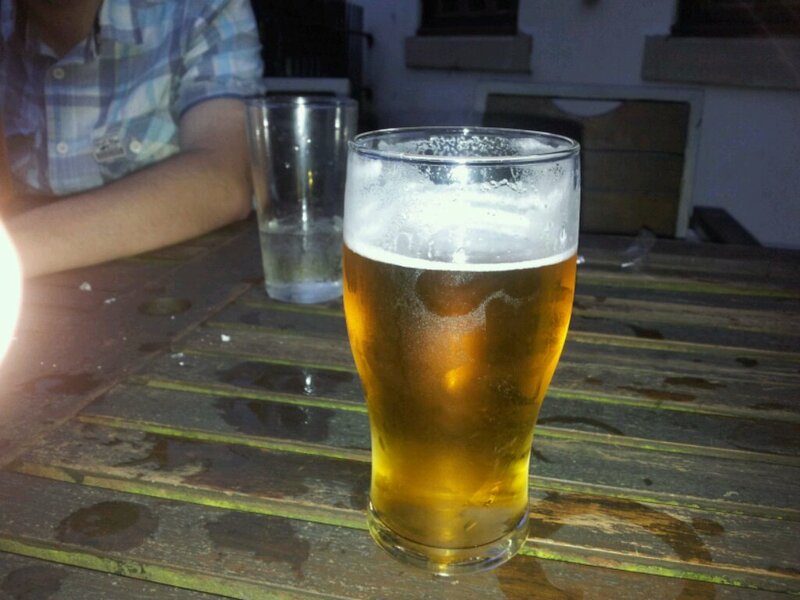 If alcohol was such a demonic drink…..The thing about drink that we all appreciate is that it gets us trolleyed. Bladdered. Whacked. Drunk. We can never ever conquer it, however, how many times we try. It’s actually quite funny sometimes watching people dance after they have had a few drinks, especially at weddings. I actually remember the first time I had a drink. I was a late developer,so all my mates were veterans by the time I started. My first ever drink was a gin & tonic! Oh yes. I used to hang out with ladies who liked to ‘lunch’, and they always had G&T. The ribbing I get these days from my mates when I ordered a G&T! It was especially quite bad a few months ago when on a boys weekend, we visited a small village near Cardiff, and lo and behold yours truly ordered a G&T-all my mates were drinking lager/beer or whisky! I had to endure some spicy remarks. Messages were even posted on Facebook,but I stuck to my guns. I digressed there. When I started drinking, I tried to hide it from my mom so much that my sisters found it hilarious. My mom knew all along that I was drinking, well, not at alot but still I could not man up and say ‘mom I love you, but I also love a beer now and again!’ She ‘only found’ out when one night, I just could not stand or sit still and ended up knocking the food off the table. I had outed myself! Very embarrassing indeed. Talking of parents, do you ever wonder why parents are always good at scaring kids. Its like they attend a ‘parents’ school whose main subject is ‘Scare the hell off those little kids’. . ‘Hell’ here has no religious relevance, its a substitute for a word I felt some of a unique disposition may find rather crass. You here parents, ad infinitum claiming: ‘Don’t do that or you will go blind’; ‘Dont watch too much TV or your eyes get square’….There is always a warning attached to something that kids like to do. Wouldn’t it be funny to have ‘Parenting skills‘ as part of the school syllabus. That way we could get formalised qualifications as the current hotchpotch system aint working. universities will not struggle to get students and the scourge of conservatism-single parenthood could be eliminated! Imagine having a PhD in parenting from Harvard? Or University of Oxford? Or even Oxford-Brookes? One thing for certain though is that no one will ever agree on the curriculum. It is a pleasure being a parent and like breathing, it is something that should come naturally. It can be a challenge, and very difficult. Breathing can challenging too after a run, exercise or overly-excited. And also when unwell. I am off camping. I hope you are all having a great summer. Happy drinking. Happy parenting. Or just be happy, what ever you are doing.